Little League World Series and Championship Series garners worldwide attention to Williamsport,Pennsylvania each year when it presents the Little League World Series for crowning of the World Championship Winners of Little-League-Baseball. 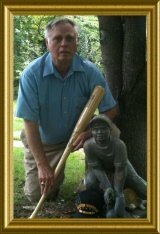 In 1939 two brothers by the name of Bret and George BEBBLE and a close friend by the name of Carl STOTZ were responsible for putting together the idea and translating that into the real life little-league-baseball-rules framework enjoyed by the youth of the World today. 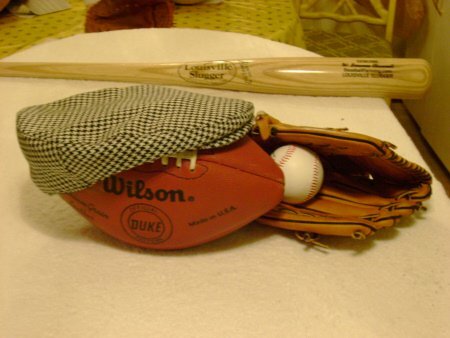 Baseball Classic: We certainly have seen this become an event to which we attach greatness, just as we have done with our professional Major Leagues Baseball World Series. Classic hard fought baseball competition is a thrill and draws the crowds. Little did they dare dream that commencing with the first Little League Championship of 1947 that this would grow into a Worldwide spactacular display of baseball competition. The Little League Baseball World Series is a baseball tournament for children aged 11 to 13 years old. It was originally called the National Little League Tournament and was later renamed for the World Series in Major League Baseball. It was first held in 1947 and is held every August in South Williamsport, Pennsylvania in the United States. Initially, only teams from the US competed in the "World Series" but it has since become a worldwide tournament. The tournament has gained popular renown, especially in the United States, where games from the Series and even from regional tournaments are broadcast on ESPN. In 2006, the age limit was changed such that players could turn 13 after May 1, not August 1, as had previously been the case. As the series takes place in August, many of the players have already turned 13 before the World Series. While the Little League Baseball World Series is frequently referred to as just the Little League World Series, it is actually one of eight tournaments sponsored by Little League International. 2012 Tokyo Kitasuna Little League of Tokyo, Japan defeated Goodlettsville Baseball Little League of Goodlettsville, Tennessee 12–2 in the World Championship game. 2013 Tokyo,Japan little League team defeated Chula Vista, Calif., and Chula Vista players have to deal with the disappointing 6-4 loss to Tokyo, Japan, in the Little League World Series championship game on Sunday, they have to immediately return to school. Please report broken links to Baseballfarming it would be a big help to Contact Us. If you ever wanted to take advantage of a real deal then look right here:"SBI! is now available for $29.99 per month." Go Shopping Save Some Family Money Buying Quality Goods.